Explore one of Nantucket’s most familiar and recognized folk arts. Learn the traditional “blackwork” method as well as inking with other colors. 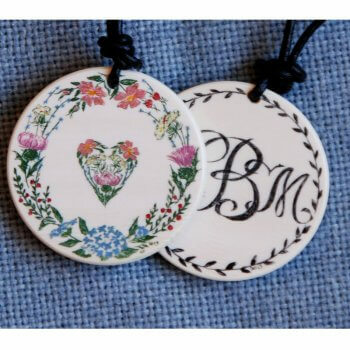 You will have a choice of designs and the option to do a monogram on your pendent. Using authentic materials, participants will create a disc that will be a beautiful necklace for you or someone special!